Every spring in Sacramento, I get questions about how whole house fans work. Some people move in to homes that have a whole house fan already. They don’t even think about it when they purchase the home, but once they are in the house and turn on the whole house fan, they love it! In the Spring and Fall, I always start thinking about opening up the front door and the windows in my house and getting some of that fresh breeze coming in. When you open the windows in one room and then again in another room, the air from outside starts passively coming into your home. That air comes from the outside and slowly starts coming into your home as a very light, wispy breeze. It feels good! I remember growing up as a kid in the Midwest. Mom would have the windows open and if I was near the window, I could actually feel the air entering the home. Maybe I didn’t feel it so much on the interior of the home, but eventually after a few hours, the outdoor temperature and the indoor temperature would equalize. That’s how my mom liked to have it, and it’s even nostalgic to think about those days. Now let’s imagine you have a fan that is mounted on the ceiling, pointing into your attic. This fan wouldn’t be pointing down into your house, it would actually blow air into your attic. This means the air has to come from somewhere right? With a whole house fan, you open the windows of your home and turn that fan on. 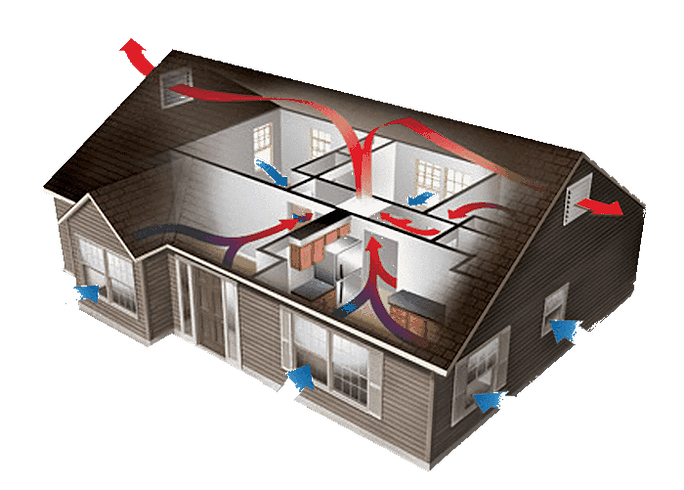 Now instead of having passive air flow coming into the home, you can bring that outdoor air in more actively. In a matter of minutes, you can bring the temperature outside into your home and equalize that temperature evenly and effectively. The cost comparison to cool your home down with a whole house fan versus your air conditioner is extreme. Let’s think for a second about how much it cost to run your air conditioner. The blower motor in your home’s HVAC system that moves the air through the vents in your bedroom, living room, etc. takes about 5 to 8 amps to run it. The outdoor compressor and fan motors consume up to 20 amps. So, let’s say 28 amps to run the AC. Now let’s convert those amps into actual electricity cost. 28 amps times 240 volts to power your motors equals 6,720 watts or 6.7 kilowatt hours (kWh.) You typically use your AC more hours per day than you’ll use your whole house fan, too. Let’s say you’ll use your AC on an 80-degree day about 6 hours a day. So, 6.7 kWh multiplied by 6 hours a day equal 40.2 kWh per day. And let’s say you do that for 30 days of the month like most people. 40.2 kWh multiplied by 30 days equals 1206 kWh per month. Our local utility company, SMUD has a summer rate of 13 cents per kWh. In the spring, fall and winter it’s 11 cents per kWh. So now we just multiply your AC’s 1206 kWh usage per month (and more in the hotter parts of the summer) and multiply it by the electricity rate which is 11 cents per kWh on a typical spring 80-degree day. 1206 x 0.11 = $132.66 per month. So it costs $132.66 to effectively cool your house to comfortable standards in the spring or fall. Now let’s take a look at how much it would take to run your whole house fan. We might run it 6 hours, but more than likely you’ll kick the whole house fan on for about 2 to 6 hours a day. So let’s say 4 hours a day. The biggest Quiet Cool whole house fan runs at 1 to 8 amps. That’s it! No outdoor AC sucking 20 amps of electricity. Just a fan. Quiet Cool whole house fans are super efficient and have a 15-year parts warranty. So let’s say your whole house fan is running at the maximum 8 amps on 120 volts of electricity. 8 amps times 120 volts, which is what your whole house fan runs on, equals only 960 watts per hour or 0.96 kWh. And let’s just say your using your whole house fan 6 hours a day for 30 days. That comes out to 5.76 kWh a day, and 172.8 kWh for the month. Guess what that whole house fan cost you to run for the month? Only 19 dollars… 19 dollars is only 14% of 132 dollars, which was the cost to run the AC for that same month. In Sacramento homes in the downtown area, homes were designed to cool the house with the cooler air from below the house and have that air vent out the top of the house. This worked effectively for years! Amazing technology if you think about it. Whole house fans were introduced in our area as modern technology and mandates from the state forced builders to build homes tighter with less air infiltration. Whole house fans are still the most popular way to cool your house down when the temperature outside is cooler than the temperature inside. The options you have for whole house fans are the mainstream style of whole house fans that are belt driven and have the slats on them that open and close with the fan turning on or off. We install Triangle brand whole house fans that operate this way. They are a little louder than the other styles, but I have noticed they move an exceptional amount of air with just one unit mounted in your ceiling. Check out Triangle Engineering of Arkansas, Inc at https://www.trianglefans.com for more information on these types of whole house fans. 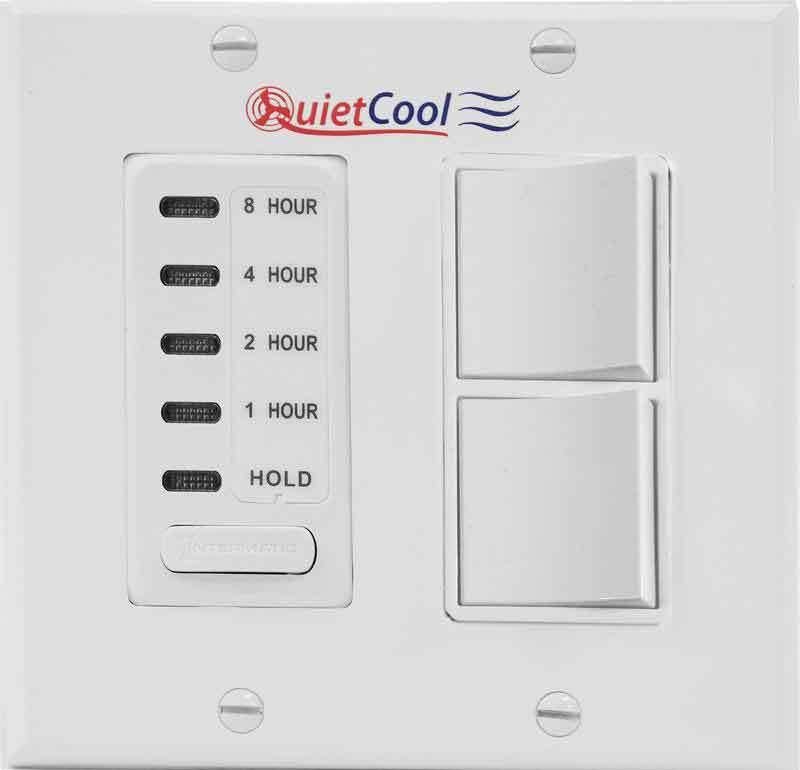 The next option you have is Quiet Cool whole house fans. Check them out at https://quietcoolsystems.com/homeowners/how-whole-house-fans-work/. They are a little more advanced in technology and energy consumption. The fan isn’t heard as easily, so it’s quieter than the traditional whole house fans you see in a lot of homes since the 1950’s. 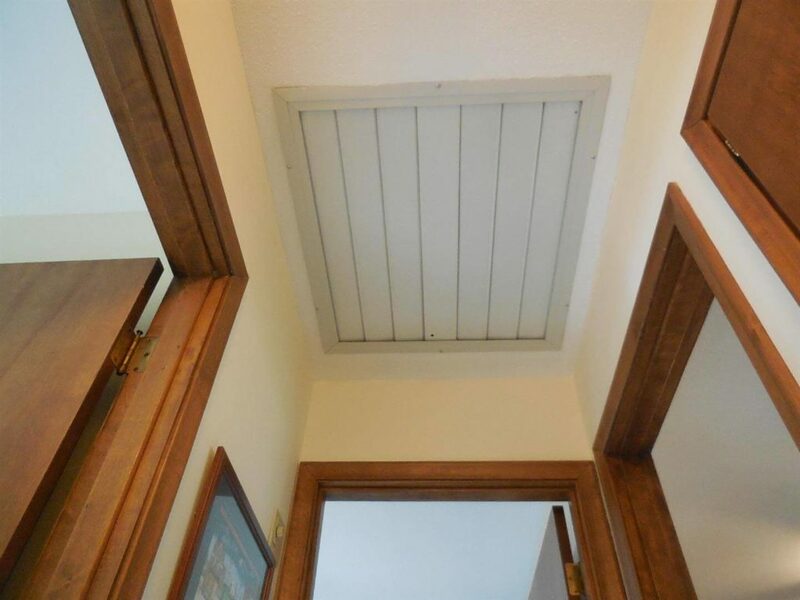 The reason it’s so much quieter is because there is a large duct that connects the opening in your ceiling and the can that is mounted in that opening to the actual fan that is typically suspended from the rafters in your attic about 6 feet away. These units do save more money to operate and have two, three and four speeds on them to dial in just that right amount of airflow you are looking for. I wish now, with the Quiet Cool whole house fans I installed in my home that I would have gotten bigger models. I’ve noticed the airflow is a fraction of the amount of air the Triangle whole house fans move. It’s not a huge difference but it is noticeable, especially when I’m trying to move a lot of air quickly, say one hour before bedtime and I’m noticing it’s 65 to 70 degrees at night and it’s still 82 degrees in my upstairs bedroom. Uh oh! Now I need to move air quickly to cool this room. That’s when I wished I would have upsized my Quiet Cool whole house fan to a little bit larger one. Over all, whole house fans are a blessing in disguise. People who have them in their homes currently, know the benefits of having a whole house fan. In Sacramento, my customers are always reminding me that the “Delta breeze” is so nice to have on summer nights because they can shut their AC off and just turn on the whole house fan. 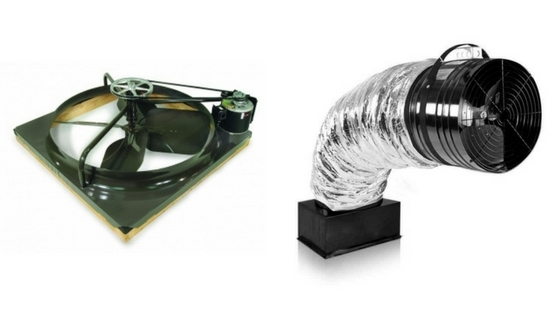 Do some research on whole house fans and determine which style is better for you. Quiet Cool whole house fans are going to run a little more expensive than the traditional style Triangle whole house fans, so that is something to consider as well. With both of these whole house fans though, you are going to payback your investment within a matter of a few years. And you know that now since you know how much less expensive it is to run your whole house fan compared to your AC system!